BIRMINGHAM, AL. (THECOUNT) — Tony Emanuel Tarver, owner of Emmanuel’s Barbering Salon in Birmingham, has been identified as the victim killed in a three-vehicle crash in Hoover on Sunday. 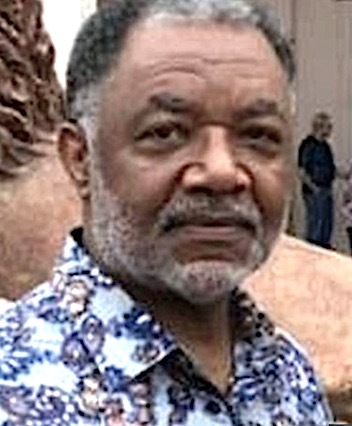 Tarver, 61, owned the salon, located in downtown Birmingham, along with his wife, Sharon, who opened in 2004. The fatal crash occurred at 2:36 p.m. Sunday after a 2018 Mercedes GLC300 was exiting from I-459 and collided with a 2004 Toyota Camry that was traveling west on John Hawkins Parkway. The Toyota then crossed conterlines and into the eastbound lanes, where it collided with Tarver’s 2004, Volkswagen Passat, reports AL. Sharon and Tony were transported to an area hospital where he was pronounced dead at 4:29 p.m. and she is listed in critical condition. The driver of the Toyota sustained minor injuries and was transported for treatment by private auto. The Hoover Police Traffic Unit continues to investigate the crash. Geo quick facts: Hoover is a city in Jefferson and Shelby counties in north central Alabama, United States. The largest suburb near Birmingham, the city had a population of 84,848 as of the 2015 US Census estimate – Wikipedia. Comment your thoughts below and share this article with family members and friends on social media!